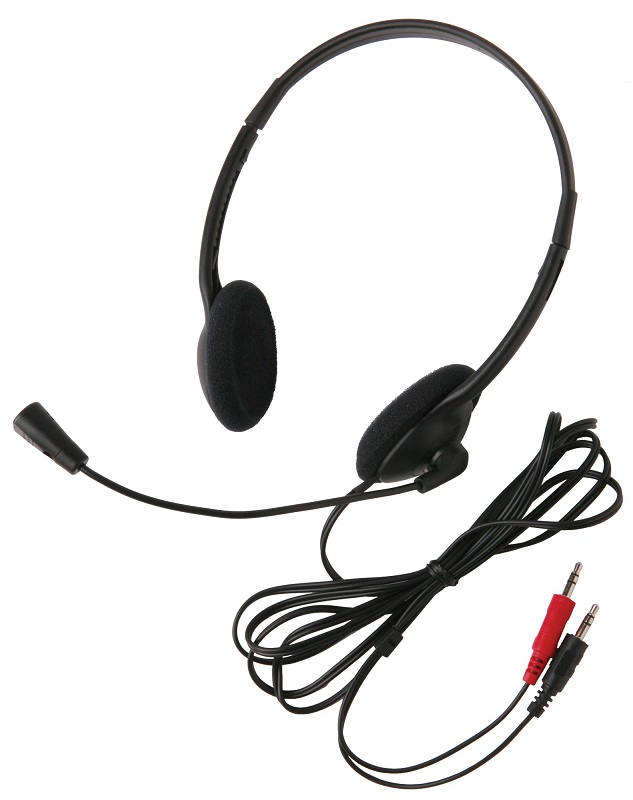 The 3065 series comes with either dual 3.5mm plugs (3065AV) (and is compatible with MAC and Windows-based computers) or a single 3.5mm stereo To Go™ plug (3065AVT), which is compatible with iOS and Android-based smartphones and tablets for mobile learning. Ten packs of the 3065AV (3065AV-10L) and 3065AVT (3065AVT-10L) without storage cases are available. Fully adjustable headband fits all students Recessed wiring resists prying fingers Comfortable lightweight ear cushions Permanently attached straight cord with reinforced connection resists accidental pull out for classroom safety 6' cord for extended reach with 3.5mm mini plugs connects with commonly used media players Unidirectional electret mic on flexible gooseneck microphone Windows and Mac compatible Lightweight design for comfort This headset has multiple plug choices to fit a variety of devices. Make sure your selected headset has the right compatible plug to fit the intended audio source.